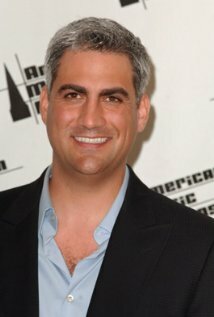 When Taylor Hicks was in high school - long before his appearance on American Idol and his subsequent singing career - he was a gifted athlete. His sport of choice was basketball and, as athletes often are, he was involved in a mid-game collision during a championship game and ultimately lost his two front teeth. Taylor's experience is far from unusual, and serves to emphasize how important wearing proper protective equipment during sporting events and practice - both formal and informal - really is. The American Dental Association (ADA) maintains a list of sports in which they believe participants should wear a mouthguard. To name just a few, included among the two dozen physical activities named are soccer, bike riding, equestrian sports, and basketball. Anytime you consider engaging in any of the activities listed by the ADA - as well as any other activity that could reasonably result in dental accidents - you should always wear a mouthguard. A number of different styles of mouthguards exist, including various stock sizes - small, medium, and large - that are sold in most stores that carry sporting goods. Another type of mouthguard commonly purchased is a "boil and bite" version that is softened in hot water and then molded into the shape of your mouth. By far the best choice, however, is a custom-fitted mouthguard prepared by our office. Our mouthguards, professionally and immaculately fitted to fit your mouth, offer unparalleled protection and comfort. It is important to keep in mind that in sports, nothing is certain: dental accidents can happen at any time. Avoid the possible life-long consequences of a sporting accident without properly utilizing proper protective equipment - wear a mouthguard, and save your teeth! Contact us today if you or your child needs a mouthguard and we'll schedule your appointment right away!